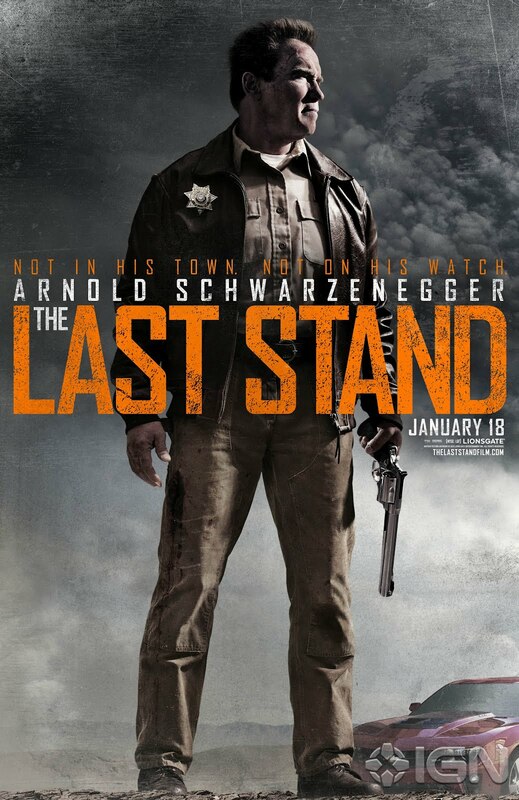 The movie The Last Stand starring Arnold Schwarzenegger: trailer, clips, photos, soundtrack, news and much more! This quiet town is about to see some action! The film will open in theaters on January 18, 2013. Got a machine gun? Then join Schwarzenegger’s team in their fight against crime! Bang, bang, bang! The film is directed by Kim Ji-woon based on a script by Andrew Knauer and Jeffrey Nachmanoff. 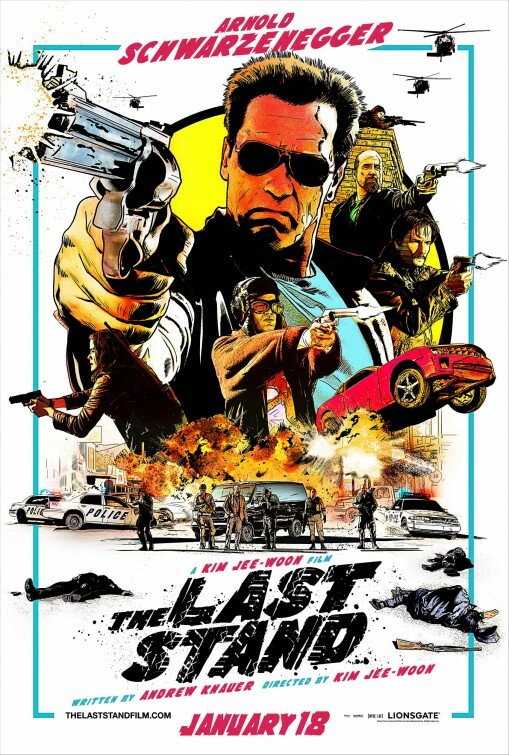 The last Stand – How are you Sheriff? The film is directed by Kim Jee-woon and written by Andrew Knauer and Jeffrey Nachmanoff. 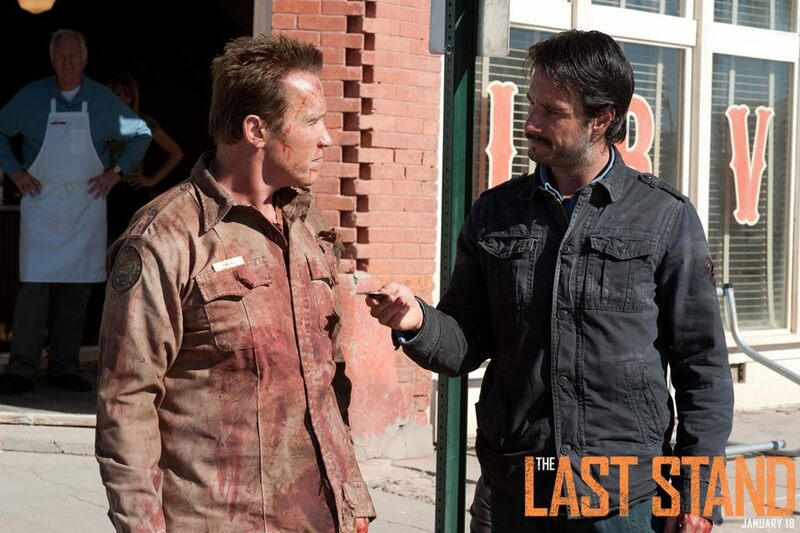 The cast includes Arnold Schwarzenegger, Johnny Knoxville, Forest Whitaker, Eduardo Noriega, Rodrigo Santoro, Jaimie Alexander, Luis Guzmán, Peter Stormare, Zach Gilford and Genesis Rodriguez. 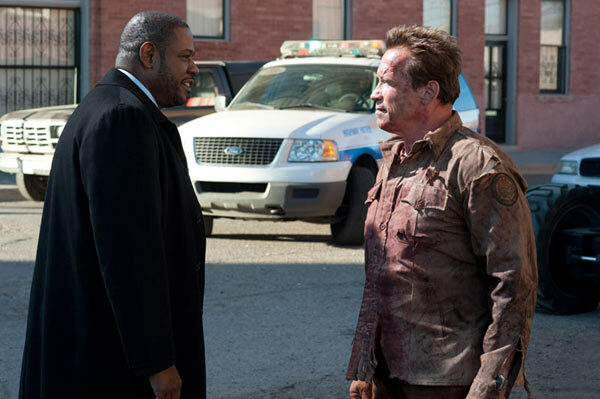 Don’t miss your appointment with Arnold Schwarzenegger: the film will hit theaters on January 18, 2013. Sheriff Arnold Schwarzenegger and his unlikely team are ready to use their big guns to serve the law! Do you remember Jaimie Alexander playing the role of Jessi in the TV series Kyle XY? 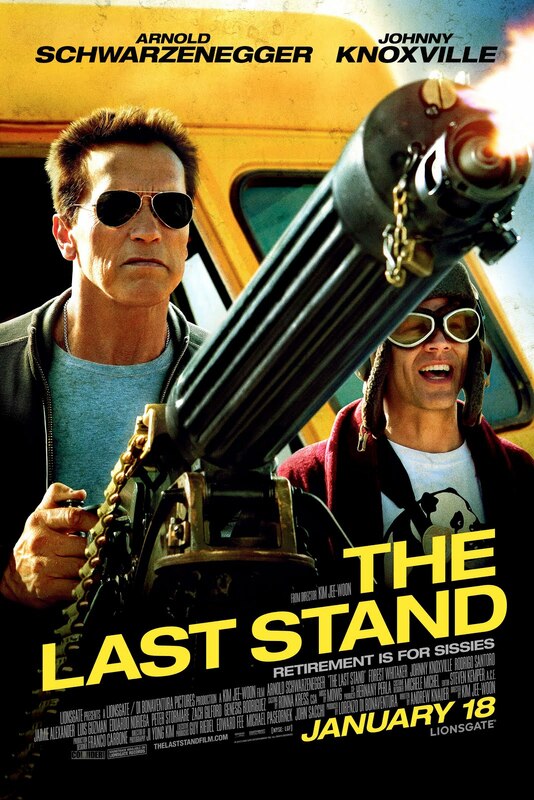 The Last Stand – Retirement is for sissies! Can’t wait to see Arnold Schwarzenegger firing that machine gun! Any idea what’s the song at the end of this new trailer of the Last Stand? The movie is set to open in theaters on January 18, 2013. In theaters: January 18, 2013. 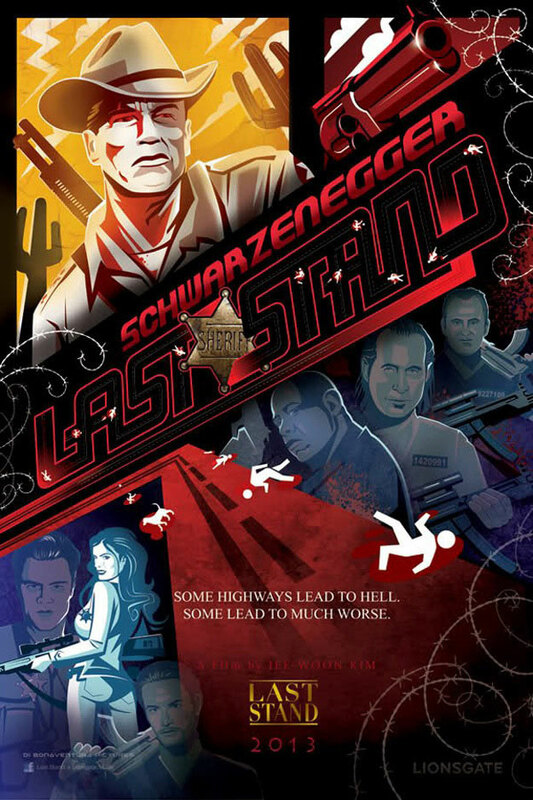 Besides Arnold Schwarzenegger, the cast of The Last Stand also includes Forest Whitaker, Eduardo Noriega, Rodrigo Santoro, Johnny Knoxville, Jaimie Alexander, Peter Stormare, Zach Gilford, and Genesis Rodriguez. The film is set to hit theaters on January 18th, 2013. Not in his town, not on his watch! 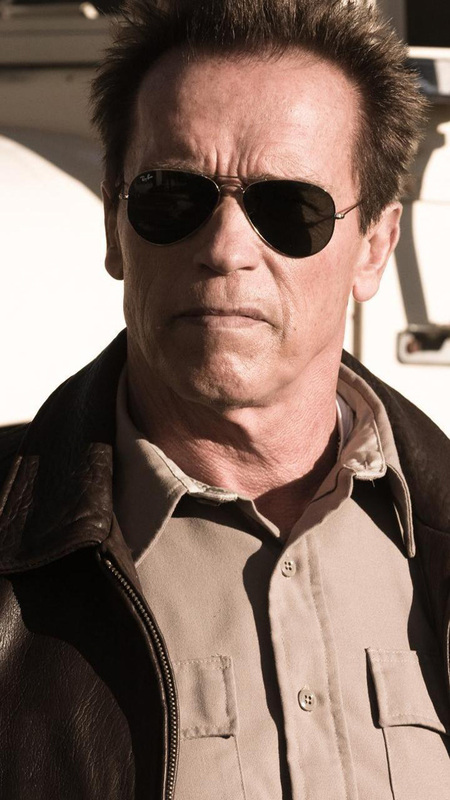 Arnold Schwarzenegger won’t hesitate to fire his gun to protect the law and his fellow citizens! 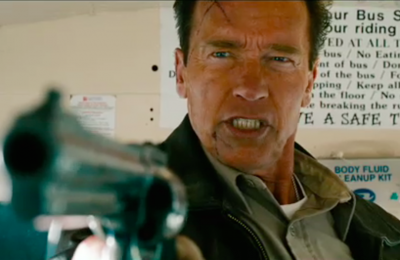 Arnold Schwarzenegger will show you how to apprehend a criminal! Some highways lead to hell. The film is directed by Jee-woon Kim. In theaters: January 18, 2013. Jaimie Alexander play the role of Sarah Torrance, a young cop under Arnold Schwarzenegger’s command. 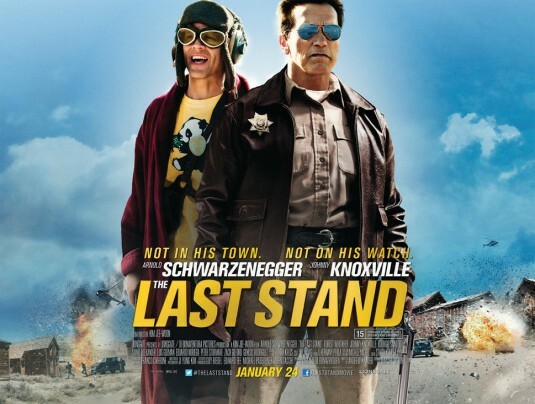 The release date of The Last Stand is set for January 18, 2013.